In December and January I hosted a series of professional development webinars on Wednesday afternoons. A couple of those webinars sold out. After a week off, the series will resume next week at 4pm Eastern Time with a webinar on Mind Mapping and Collaborative Brainstorming. The following week the topic will be using Google Maps in multiple subject areas. And on February 15th the topic will be Search Strategies Students Need to Know. There are two registration options for the February series of webinars. You can sign up for an individual session for $20 or if you register by January 31st you can register for all three sessions for just $30. 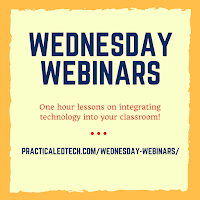 Either way your registration includes access to the live webinar, unlimited access to the recording of the webinar, handouts, and the option for a PD certificate. 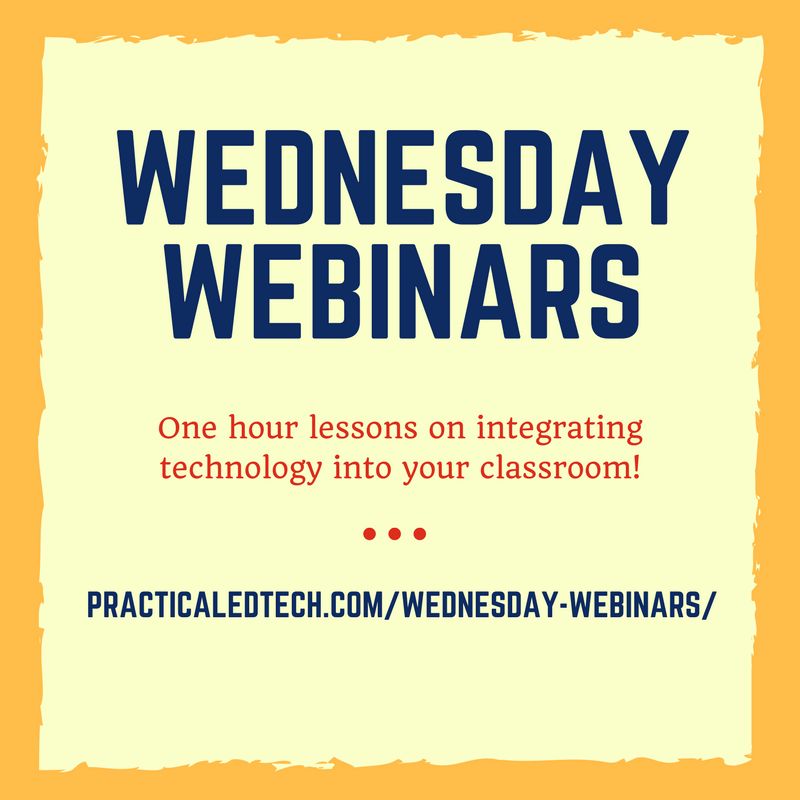 Learn more on the Practical Ed Tech Wednesday Webinar page. Richard, why is there a charge for the webinars? I explain the answer in this video.